The Virginia elementary school teacher who told News4 last week that, if she were asked, she would take a gun into her classroom to protect her students said Monday that she has never taken a weapon onto school grounds. 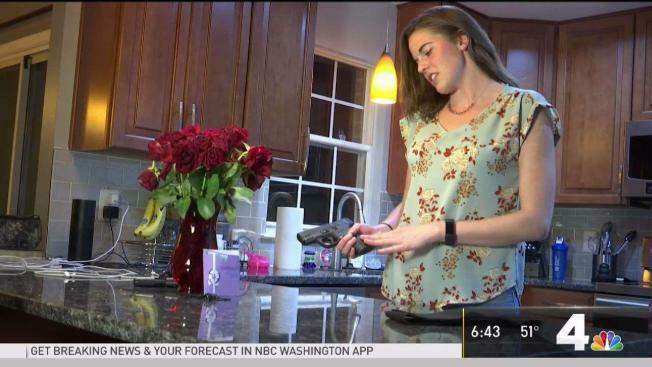 Sierra Collins, a teacher for Fairfax County Public Schools, said last week that she takes a 9 mm pistol to her school every day and leaves it locked in a safe in her car. If she could, she said she would take the gun inside. "I care about every single one of my kids. I care about all my coworkers. And I would not be able to protect them if something were to happen," she said. She spoke with News4 amid a national conversation over whether teachers should be able to carry guns in schools. An elementary school teacher in Virginia says she supports proposals to allow teachers to take guns into their classrooms. News4's Aimee Cho reports. In an update Monday, she said that when she takes the gun to school in her car, she parks on the street near the school — technically off school property. Virginia laws allow guns to be kept in cars if they are locked and secured. A representative for Fairfax County Public Schools said that as a matter of policy, employees who take weapons onto school grounds can be dismissed. In a statement Monday, Collins said she never took a weapon to her school. "I did not say that I have brought a weapon -- gun or knife -- on school property. I have never done so and understand that my school district’s rules are clear that employees cannot have weapons on school property," she said. Collins said last week that she wears a knife under her clothes. "I have carried a knife around my neck for a long time. People don't typically know that I have a knife around my neck. I wear it under my clothes," she said last week. "Am I supposed to have a knife at school? Probably not. But if it is concealed and it is only brought out in case of an emergency, I don’t see why it should be a concern," she added. She declined to speak on camera on Monday and previously spoke on the condition that News4 not reveal where she works. Collins added: "I care deeply for my students and understand the anxiety that this report has created in the community and, for that, I am truly sorry." A local grandmother said she was not sold on the idea of teachers being armed. "I think about a child getting ahold of a gun and having an accident at school," Nohemi Zervi said. Mother Kara Bullock said she was in favor of teachers having guns. "I'm for more guns being in schools, however I want to make sure the right people have guns," she said. Collins did not respond to an inquiry about whether she plans to continue taking a gun in the car with her when she commutes to work.